In theory, Graph Search — Facebook’s “new and improved” social search engine — will dramatically enhance the ability to discover products and services on Facebook. You can scoff at this. You can assume that Facebook will never get search right. You can continue to ignore Facebook as a waste of time or something that isn’t worth an investment of time and resources. If a potential customer needed to find a good pizza place or a reputable graphic designer, they’d generally either ask a friend or search Google. Such a Google search would turn up results from Yelp, Google Places and the websites of relevant businesses. If you developed a website, registered a Google Place and attracted positive reviews on Yelp, you likely skated along with a smile on your face. Facebook was nice for customer service. It may have helped with brand awareness. But it didn’t drive sales, or so they said. That may now change. Facebook could tackle both word of mouth and search discovery with Graph Search. Every Page like, checkin, rating and recommendation will contribute to these results. Every post like, comment and share. If you ignore this, you are putting your bets on Facebook failing at search. You are gambling that Facebook won’t replace the 5% or 10% or 50% of discovery previously made through Google or traditional word of mouth. 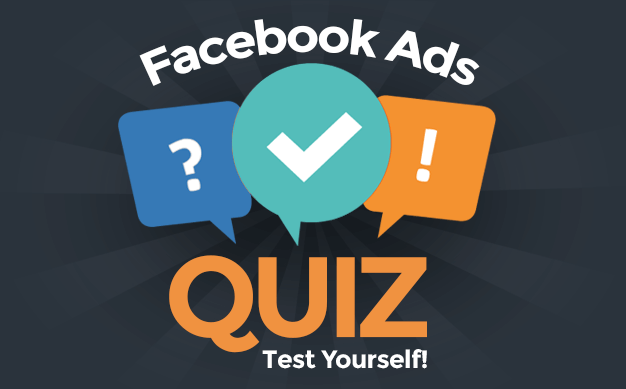 Your competitors will ramp up their Facebook marketing efforts. They will focus on high quality Facebook fans and driving engagement. They will invest in search discovery, growth and the creation of high quality and meaningful content. As a result, your competitors will always appear in Facebook search results while your business will be nowhere to be found. You will lose 5% or 10% or 50% of the customers who previously found you in traditional ways, resulting in a corresponding drop in revenues. Nothing changes. Is it worth the gamble? You cannot afford to ignore Graph Search. Your competitors hope you do. When a potential customer searches for “restaurants” will they find you? They may not if you haven’t properly classified your business. What categories have you chosen? Do they match your business? If a potential customer is searching for restaurants in Denver, CO, they will not find you if you have not provided a physical address. When results for brick and mortar appear, Facebook is likely to surface relevant info that includes ratings, recommendations, days and hours of operation, address and phone number. Make sure that the items within your control are accurate and up to date. If you focus on numbers instead of quality, you will attract people accordingly. In other words, if you are buying likes or running ads targeted at an irrelevant audience (countries outside of your service area, for example), your page will show up in similarly irrelevant search results. If you are a local business only, grow your audience locally. Run ads targeted at people who live within your area. If you hadn’t run ads before, run them now. If you were previously running ads, consider running them more. Also put up signage within your store to encourage likes and checkins. Do you have a dedicated person to share consistently valuable content that encourages engagement? Or do you post when you have time or post only to promote your business, resulting in minimal engagement? This is going to be increasingly important. Those who provide value will quickly be separated from those who do not, showing up higher in Facebook’s search results. Post regularly. Focus on quality and value provided to your fans. Focus on content that will produce quality engagement. If you haven’t already, now may be the time to invest in some additional help. How are you responding to Graph Search? 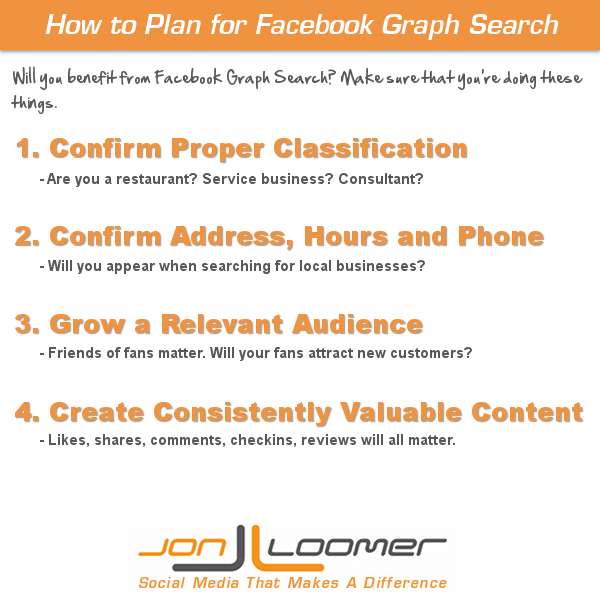 Will you be making additional investments to make sure that you show up high in Facebook search results?